In an interview granted years before September 11, 2001, Osama bin Laden has stated that he considers both soldiers and civilians of the enemy legitimate targets. That position is not unique, and the wars of the past century have proven with increasing numbers of civilian casualties. 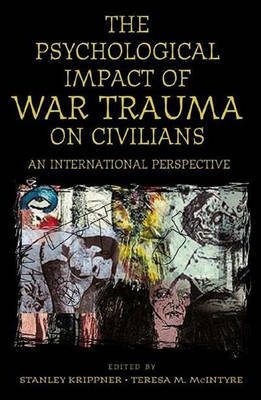 This book addresses the impact of war and extreme stress on civilian populations, as well as psychology's response to these phenomena. Contributors examined and developed interventions in locations including Africa, the Balkans, Afghanistan, Siberia, the Middle East, and Southeast Asia. Subjects include: women under the Taliban, AIDS patients faced with governmental denial, survivors of the Rwanda massacres, post-Pol Pot Cambodia, Nazi Holocaust victims, Kuwaitis after the Iraqi invasion, Argentine mothers of disappeared youth, and more. The authors examine such rehabilitation efforts as art therapy and role-playing in the former Yugoslavia, community mobilization in Angola, body-work for torture victims who have found their way to London, and counseling for former child prostitutes now in Vietnamese schools. Preventative measures include classes in ethnopolitical conflict resolution, reconciliation and peace-building activities, and the revival of indigenous practices after decades of repression.